A roll of quarters went a long way at Fun Time Amusements at the Billerica Mall. And the pet store in the mall often offered a look at Billerica‘s latest group of adoptable kittens or puppies. Today, the mall still stands just off Boston Road, on the southern approach to town. Fun Time is gone. The pet store left too. 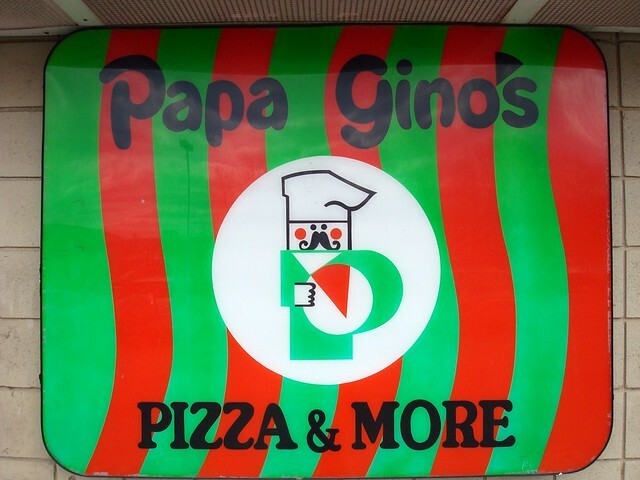 Even Papa Gino’s packed up and left after 25 years at the mall. It’s hard to remember the Billerica Mall’s heyday today, even with the ongoing redevelopment efforts. Until the early 1990s, though, the mall continued to be a vibrant member of Billerica’s commercial community. When Musgrave’s Dairy closed in the early 1970’s, the Billerica Mall rose in its place. By 1974, construction of the mall began on land owned by J. Everett Farmer. Excitement abounded as the mall arose on Boston Road, across from Charnstaffe Lane. Planners reported that the L-shaped mall would border St. Theresa’s on the north, and the town’s massive water tank on the south. Townspeople prepared to welcome the mall’s two anchor stores, the A&P and K-mart. 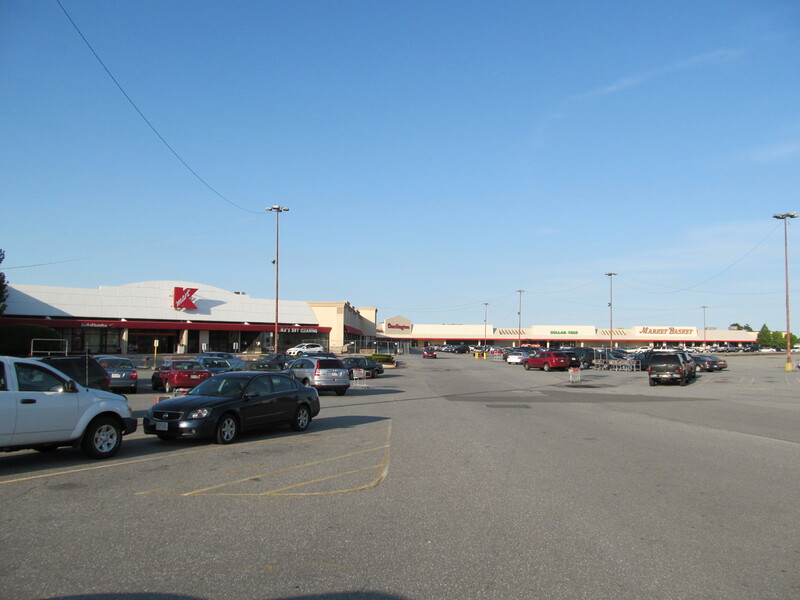 K-Mart, the mall’s largest store, boasted some 84,000 square feet of retail space. The A&P, the second-largest, had 50,000 square feet. The mall location would be one of three Greater Lowell locations planned for the chain, which was re-entering the area after seven years away. Planners announced an August 1975 opening. In addition to the A&P and K-Mart, 40 additional shops were planned, including some familiar tenants like Radio Shack, Papa Gino’s, Fanny Farmer, and Fun Time Amusements. Others like My Store for Levis and Smart Look had much shorter tenures at the Mall. 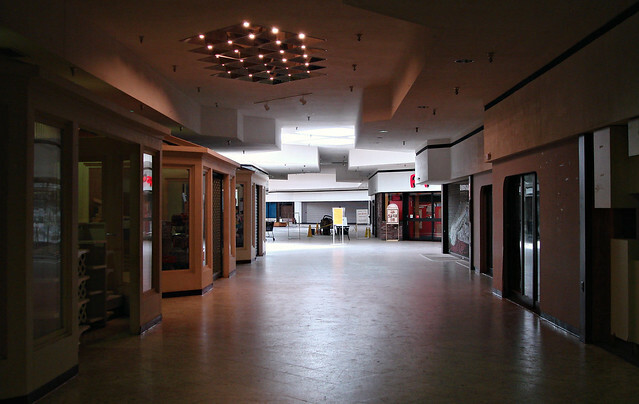 The mall aimed to lessen the mall’s impact on the community. Its comparatively narrow 25-foot wide hallways brought shoppers closer to the stores’ merchandise. To avoid a “sea of glass”, storefronts were purposely staggered to create visual breaks. Billerica embraced its mall, which thrived until the early 1990s. Stores came and went. The A&P became Market Basket. Almy’s evolved into a Burlington Coat Factory. Falling foot traffic, and later a failing roof cost the mall additional tenants. Today’s mall, known as the Shops at Billerica, has kept K-Mart, an original tenant, as well as Burlington Coat Factory and Market Basket. Attempts to revive the aging mall have been made in recent years. The results are starting to show with the addition of Planet Fitness and Big Lots to the mall. Hi Joe – thanks for your comment. I don’t personally remember the A&P being in the Billerica Mall, but articles leading up to the mall’s opening and some advertisements published soon after suggest that it was there briefly before Demoulas/Market Basket moved in. I’ll add one of the ads to the post. I’ll keep looking into this. I love Forgotten New England! I’m 47 and grew up in Billerica. Fun Time was my #1 hangout growing up. I don’t remember if it was A&P when it opened either. Thanks for the comment and visit, John! I’m about ten years younger, but I remember Fun Time as being the place where all the cool kids hung out. That was my favorite place in the Billerica Mall. I was one of the original part-time workers at the Billerica A&P when it first opened. Opening day was very near Halloween. They didn’t have a Grand Opening Sale. Instead, they had a raffle for a mink coat. The store was open for at least two years. It never had many customers. For its day, it was a huge store, probably 50% bigger than the average DeMoulas. I remember my brother Steve worked at the A&P when it opened in their produce dept. It was definitely part of the mall. I also remember Thackary’s Restaurant and the bank, the liquor store and the movie theater. Too bad it’s all gone now. Don’t forget Mug N’ Muffin!